This week, your TWST hosts Ken, Allan and Steve welcome Kenneth Womack, Dean of the Wayne D. McMurray School of Humanities and Social Sciences at Monmouth University, where he also serves as Professor of English. 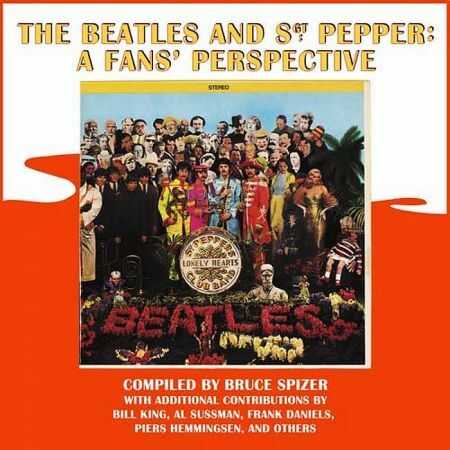 Ken is also the author of the first book in a multi-volume series on the life of Sir George Martin. 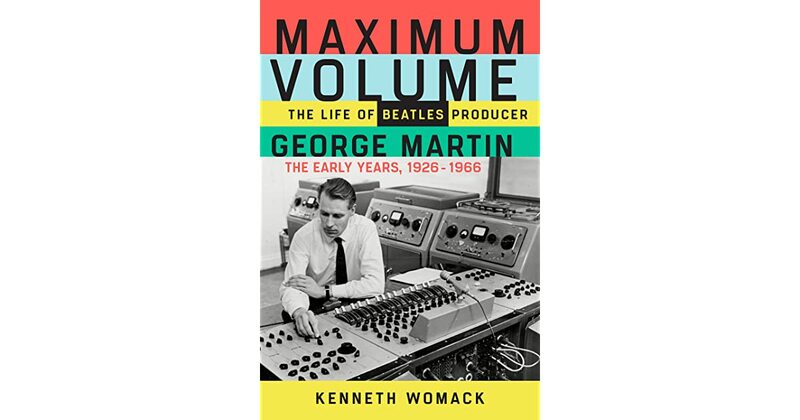 The first book is titled "Maximum Volume: The Life of Beatles Producer George Martin (The Early Years: 1926-1966)." Be sure to let us know what you think about this episode of the show or any other episode. You can send your comments directly to our email address thingswesaidtodayradioshow@gmail.com, join our "Things We Said Today Beatles Fans" Facebook page, tweet us at @thingswesaidfab or catch us each on Facebook and give us your thoughts. And we thank you for listening. Don't forget, you can stream the show from our very own YouTube page. And we invite you to please write a review of our show on our iTunes page. Be sure to check our Podbean page and on iTunes regularly for our latest shows, which usually appear each week. And we're now available through the Tune In Radio app. Be sure to subscribe to one of our providers to get first word on when a new show is available. And thanks for your support. Our download numbers have been rising and it's because of you! So we thank you very much for supporting us. 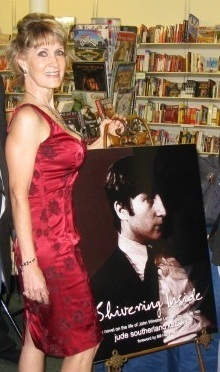 This week, your TWST hosts welcome their very special guest Vivek J. Tiwary, author of "The Fifth Beatle: The Brian Epstein Story," to discuss Brian Epstein, his life, both public and private, his legacy in the world of popular music, and the latest news about the limited-run TV series about Epstein he's involved with. As always, be sure to let us know what you think about this episode of the show or any other. You can send your comments directly to our email address thingswesaidtodayradioshow@gmail.com, join our "Things We Said Today Beatles Fans" Facebook page, tweet us at @thingswesaidfab or catch us each on Facebook and give us your thoughts. And we thank you for listening. Don't forget, you can stream the show from our very own YouTube page. And we invite you to please write a review of our show on our iTunes page. Be sure to check our Podbean page and on iTunes regularly for our latest shows, which usually appear each week. And we're now available through the Tune In Radio app. Be sure to subscribe to one of our providers to get first word on when a new show is available. And thanks for your support. Our download numbers have been rising and it's because of you! So we thank you very much for supporting us. 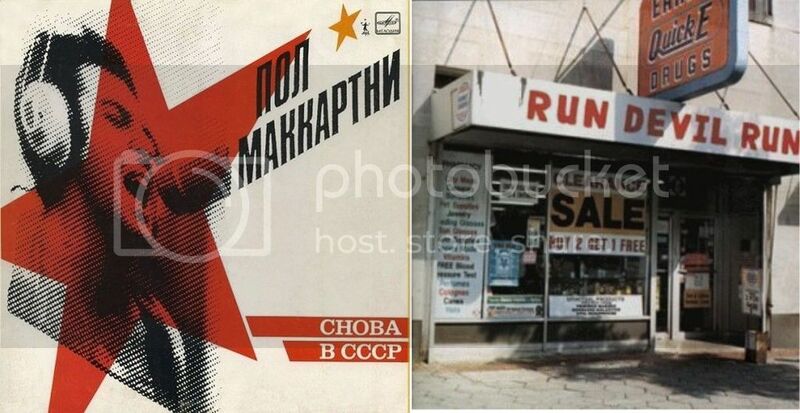 This week, your "Things We Said Today" co-hosts Steve, Allan, Ken and Al compare Paul McCartney's two "back to the roots" albums: "Choba B CCCP (The Russian Album)" and "Run Devil Run." Which one is better? We'd love to hear your choice. Be sure to send your comments to thingswesaidtodayradioshow@gmail.com.